On Sunday, fans, supporters, and long-time followers of Hillary Rodham Clinton had their dreams come true. 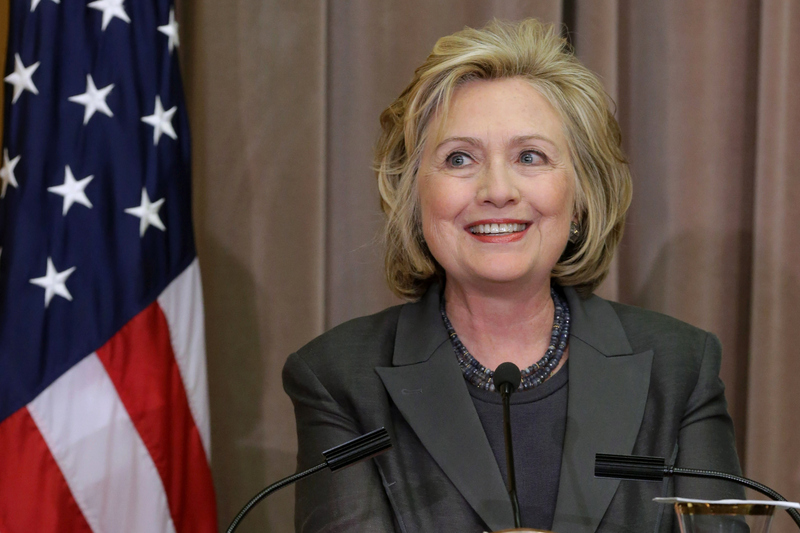 Yep, it's official: Hillary Clinton is running for President of the United States. Rumors floated about on Friday that the campaign would be officially announced on Sunday, and that's exactly what happened. Now, many are rejoicing in the possibility of Clinton becoming the first female U.S. president. How exciting is that? First, President Barack Obama became America's first African-American president, and now Clinton might be making history by taking on the leadership role that has only ever been held by a man. Of course, that possibility is still a ways away, especially since the presidential candidates have yet to hit the 2016 campaign trail. With that said, that doesn't mean we can't celebrate Clinton's exciting announcement. You know who else agrees with me? Celebrities. Many famous faces have taken to social media, including Twitter, Facebook, and Instagram, where they've been reacting to Clinton's news. Many celebs are vocal about politics, so it should come as no surprise that they're letting their voices be heard now that Clinton's confirmed her bid for president. Here's what some celebs have to say about Clinton running for president.